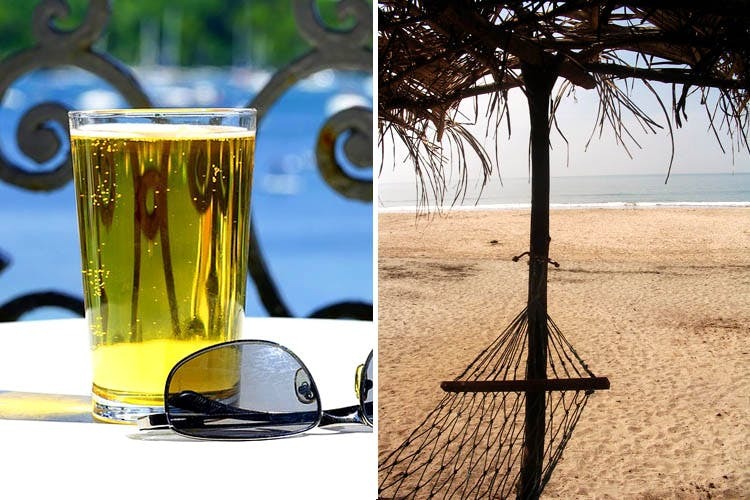 Gather your gang and head to Kashid beach to eat fresh fish, drink cheap booze, nap in hammocks and swim in the ocean! We did it all under INR 1500, here’s how. Take the fun banana ride, go jet skiing or boating in the sea. Kashid beach has various water sports which they offer in a combo pack of any 4 water sports at INR 650. If you feel like going for just one of the sports, it will cost INR 200. #LBBTip: For water sports, go in the afternoons and they’ll give you an additional 50% discount. Before you head to Kashid beach, drop by at their local markets which is approx 8-9kms before the beach. Here you can get beer, vodka, rum and whisky, all starting at INR 100 only. #LBBTip: If you cannot drink directly from the bottle, get a plastic glasses and if you plan to drink on the beach, do carry an icebox. However, please ensure you do not drink and head to the water, due to safety concerns. When on a road trip, whether short or long, it is always advisable to carry small snacks. But nothing beats a good heavy breakfast which you can get at any of the shacks either on the beach or even on the way to Kashid. They serve breakfast items such as poha, misal pav, vada sambar, idlies and various others starting at INR 70 only. Once you’re on the beach you can choose from a number of shacks on it which serve make to order food both vegetarian and non-vegetarian for as cheap as INR 150 per plate! You can also keep your belongings in the shacks while you’re at the beach and they will ensure it all stays safe. You can just soak in the sun on the hammocks as each and every shack has at least three of them. When at the beach it’s natural that one craves for fish thalis or any seafood in general! On Kashid beach, there’s a restaurant near the cliffs where you can have fish thalis starting at INR 200, after which you’ll be good to head home! As far as fuel is concerned for travelling, we advise you to go with at least four people. This way you can all chip in 250 per head and that amount of fuel would be more than enough for the two-way journey!